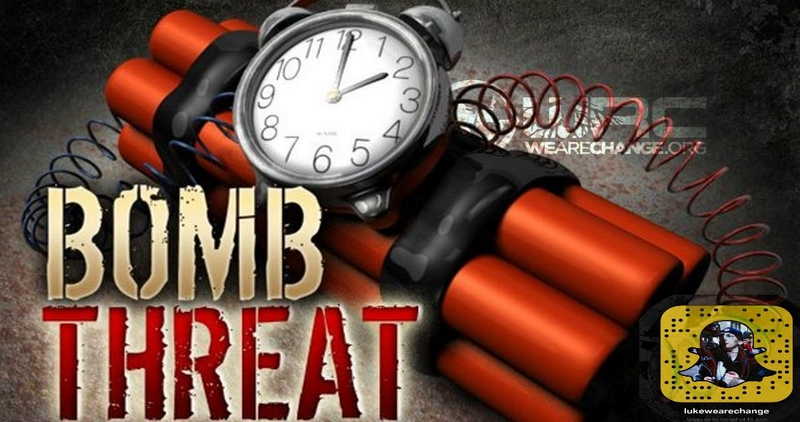 WORLD WIDE WAVE OF BOMB THREATS ! APPLETON – A wave of threats directed at schools across the nation Monday forced authorities to lock down buildings or evacuate students. The threats, which appear to be driven by automated calls, have been directed at elementary, middle and high schools in states across at least four time zones. The calls were reported in California, Colorado, Delaware, Florida, Iowa, Maine, Maryland, Massachusetts, Minnesota, Montana, New Hampshire, Oregon, Pennsylvania, Utah, Vermont, Washington and Wisconsin. Ken Trump, a national school security expert and president of a school security consulting firm, said Monday’s nationwide bomb hoaxes have the hallmarks of swatting. Swatting, according to Trump, are “highly disruptive” hoax threats that are intended to trigger massive police response. Trump said they are often described as robotic, computer-generated voices that call in threats to schools or police departments. A single swatting case can impact multiple states, jurisdictions and even travel across international borders, Trump said. Trump said swatting incidents have “skyrocketed” nationwide in the past two years. Lee Allinger, superintendent of schools in Appleton, Wisconsin, said he can’t remember a string of threats so widespread that seem to be connected. Janet Berry Elementary School in Appleton received an automated threat about 11:45 a.m.
“It’s the first one that I can recall that’s been of this nature, where it’s been an automated call or a robo kind of call and that it’s been widespread — not just next door to us but across the state and the country,” he said. Tom McCarthy, a Wisconsin Department of Public Instruction spokesperson, said the department did not know how many schools statewide had received threats. He did not comment on the string of bomb hoaxes. In the United Kingdom, at least 21 schools received bomb threats, as well, according to The Independent. NextDoes Canada have something to hide in Fort McMurray?